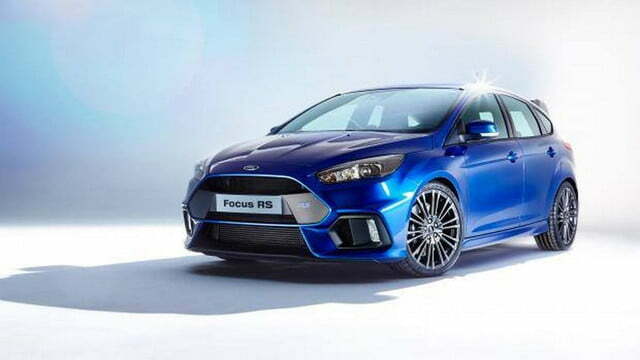 The highly anticipated Ford Focus RS is making its official debut in just a few hours, but what appear to be manufacturer photos of the car have leaked online. The images were originally published via the U.K. website Evo, but the pictures have since been taken down. Fortunately, the Internet has an excellent memory. The new model equips a redesigned front fascia that features large air vents, new badging, and a big front-mounted intercooler. 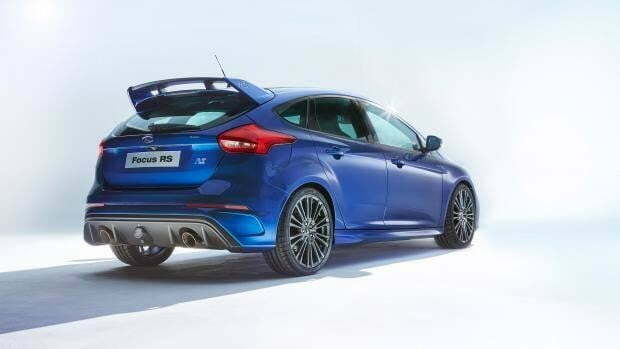 There’s also a new wing out back, double-spoke alloys, and substantial exhaust pipes integrated into the rear bumper. 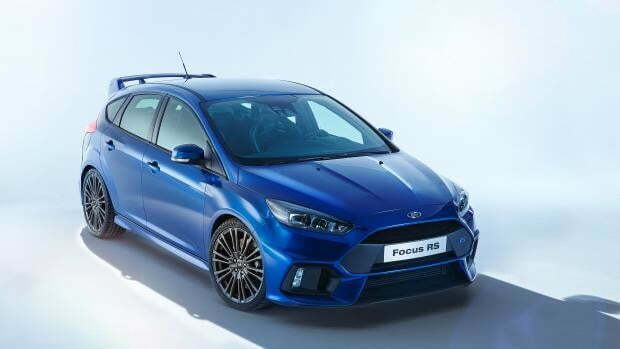 Like the Ford GT that blew the roof off the Detroit Auto Show, the Focus RS wears a ‘Liquid Blue’ paint job. As far as performance is concerned, the rumor mill is spinning like a top. Evo originally reported an output of 250 horsepower from its Mustang-sourced 2.3-liter EcoBoost, which seems a little strange considering the Focus ST makes more than that from the factory. Previous dispatches have hinted at a number closer to 330 hp, but only time will tell. 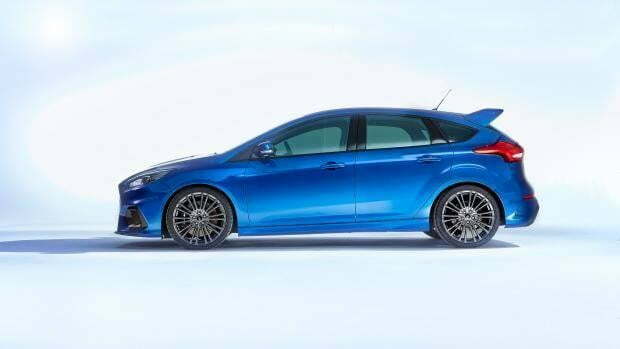 The publication also claimed that the RS would boast torque-vectoring all-wheel drive, with the ability to send up to 70 percent of its power to the rear wheels if needed. From there, up to 100 percent of the engine’s energy can be split from side to side. 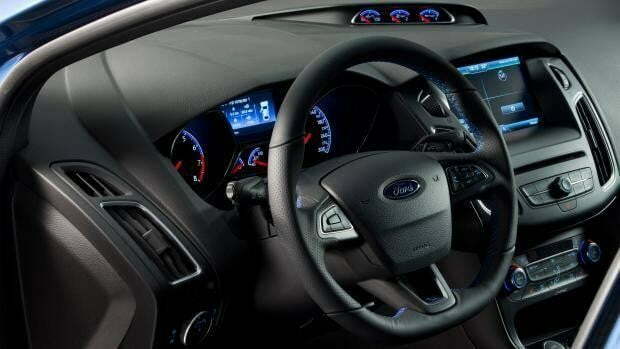 If you’re like us, you’re ready to get the skinny direct from Ford. 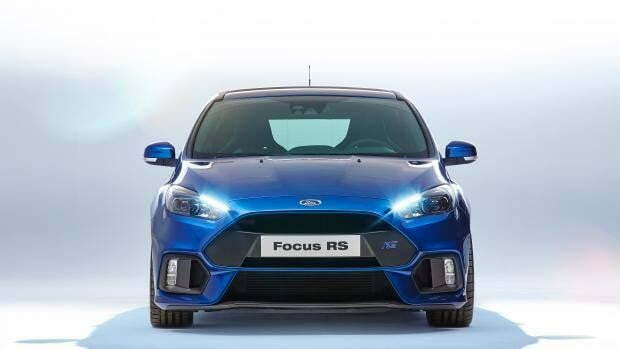 The Focus RS will make its official debut via live stream on Tuesday, February 3rd at 7:30 a.m. EST/4:30 a.m. PST. Watch the stream here.